Platinum Motorsports has done it again with this matte black beast. 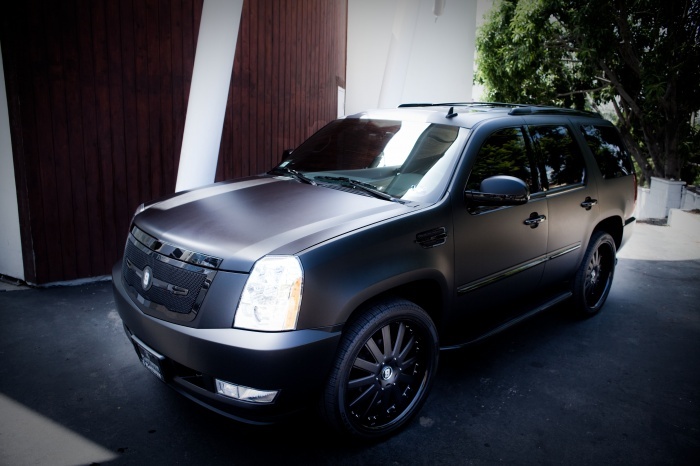 This time it is for San Antonio Spurs point guard Tony Parker with this flat black Cadillac Escalade on 24s. 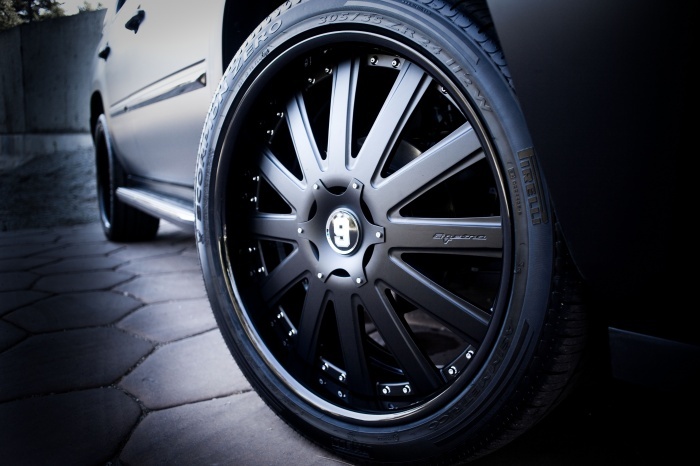 The wheels are 24″ flat black Agetros that are a perfect fitment for this car. It is wrapped around 305/35/24 Pirelli tires. This is much better than the 25 series tires a lot of people put on Escalades with 24s. I also love the number “9” custom center caps on the wheels. With all the trade rumors out there, Tony Parker will fit in quite nicely in the player garage with this car – wether it be in New York with the Knicks or if he stays in San Antonio.